Disney Early Morning Magic is coming to Disney’s Hollywood Studios starting August 1. This hard-ticket event gives guests a chance to enjoy the park for a short time before the gates open for the day. 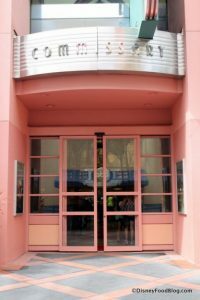 Guests can ride Star Tours and Toy Story Mania, meet characters, and enjoy an all-you-can-eat breakfast buffet at the ABC Commissary. The breakfast will include scrambled eggs, bacon and sausage, pastries, puffed French toast, fresh fruit, and more. The Early Morning Magic starts at 7:45 a.m. with breakfast served from 8-10 a.m. The park will open to all guests at 9 a.m. each morning. Tickets for Early Morning Magic are $69 for adults and $59 for kids ages 3-9. A separate theme park admission is required. This event happens on select Mondays and Wednesdays from August 1 through the end of September. Reservations can be made online or by calling 407-827-7350. This entry was posted on Friday, July 22nd, 2016 at 10:00 am	and is filed under Dining, Planning, Theme Parks, Tickets. You can follow any responses to this entry through the RSS 2.0 feed. You can leave a response, or trackback from your own site.